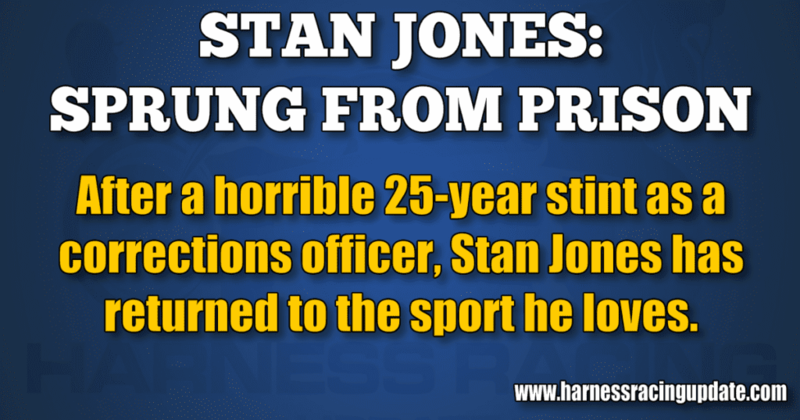 After a horrible 25-year stint as a corrections officer, Stan Jones has returned to the sport he loves. Jones spent six months working for Doherty, but Jones and his wife Sue decided to move to be closer to their grandchildren. They wound up in Brewerton, 15 miles north of Syracuse. A bit more pro-active this time, Jones researched farms in the area and decided to visit a close one, Crawford Farms. By chance, driver/trainer John MacDonald, who was spending the winter racing at Pompano Park, was dating the farm manager. When MacDonald returned, Jones explained to him that what he really wanted was a job on the racetrack rather than on a breeding farm. MacDonald offered Jones a job. They’ve done extremely well ever since at Vernon Downs. And when MacDonald takes off for the winter in Florida, Jones is off, allowing him all the time with his grandchildren he can handle. No lie there. MacDonald was the leading trainer and driver at Vernon Downs in 2016 and 2017, and the top trainer and No. 2 driver in 2018. At the current Pompano Park meet, he’s the fifth leading trainer with 19 victories. It’s a lot easier taking care of horses than the prisoners who were part of Jones’ daily life for 25 years. In 1985, Jones’ son Steven was about to enter kindergarten. Jones took a hard look at his scattered racing career. “I said, ‘I’m going to get out and do something else,’” Jones said. How bad was it? For the last 23 years of his 25-year career with the Department of Corrections, he worked at a prison in Woodbourne, 10 miles from Monticello. Founded in 1933, Woodbourne is classified as a medium security prison with a capacity of 849 inmates. But it’s over. It’s spring, and Vernon Downs opens on April 19. Jones is caring for horses, not inmates, and he inhales the difference every single morning and smiles. His life is good again.